RE•WORK | Blog - Are Computer Hardware Toys the Future of Education? Are Computer Hardware Toys the Future of Education? The maker movement in education is a learning revolution through technology and creativity to emphasise learning-through-doing. It’s enabling young users to create and reinvent their own products using skills including coding, design and engineering. Kano is one example of a company using fun techniques to help users learn how to make and create. Over 70,000 people across the globe have built their own DIY computers, using them for coding art, games, music, and more. By integrating this into classrooms, libraries, or clubs, Kano hope to encourage young people to both think about what's inside of their devices and use code in order to solve authentic problems. Joanna Bersin is Head of Education at Kano, working with schools, clubs, and communities across the globe on programs to bring them a creative approach to computer and coding education. I asked her a few questions ahead of her presentation at RE•WORK The Future of Education, on 20 June during London Technology Week. Tell us a bit about Kano and your role in the company. Kano has been focused on bringing a creative approach to computer and coding education. We are creating a world where anyone, anywhere, can learn make and play with technology, not just consume it. From the beginning, we were of the belief that this hunger to build and better understand the devices and programs so integral to our lives was shared across the world, with generations young and old. Our hypothesis was confirmed in Dec 2013 when we launched our Kickstarter campaign for our DIY Computer Kit, the computer that anyone can make and then use code to create art, games, music, and more. Our goal was to raise $100,000, and we beat that goal 15-fold, raising $1.5m in 30 days from over 86 countries. My job is to focus on those using Kano in schools, clubs, communities, workshops and more––our education customers. We've sold over 80,000 kits now, and ~10% have been in settings outside of the living room. I work with teachers, makerspace leaders, and librarians to understand how they use Kano, co-develop content and features with them, and then scale what we're doing with others worldwide. 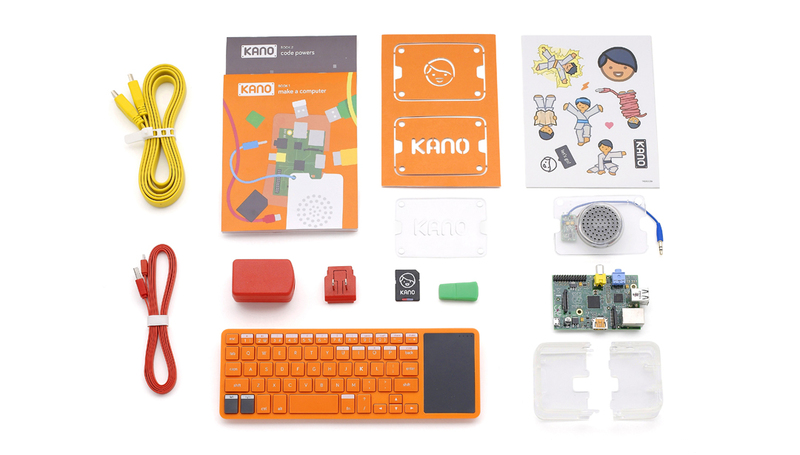 Kano aims to empower curious minds. Our creators typically fall between ages 6-16, with most between 8-12, especially for schools and clubs. We also focus on the teacher and parent, helping them better understand how to integrate technology into the classroom or home. In some cases, Kano has even been used as a tool for teacher professional development given how accessible it is for getting into new coding curriculum or physical computing. To prepare the new generation for the future, we need to get them engaged with technology early on and empower them to build with it. Kano is a way for beginners around the world to create and remix the world in which they live. Kano was inspired by a challenge from Micah, the (then) six-year-old cousin of our our co-founder and CEO, Alex Klein. Micah wanted to build his own computer, and it had to be as "simple and as fun as Lego," so that nobody had to teach him. On the education side, we're really focused on developing a package that works in the classroom or club environment, and our co-development partners have been incredible in creating content & projects and in giving us product feedback, that will enable us to scale. In the UK for example, we work with Firetech camps and Coderdojo closely to roll out new features, get feedback, and deeply understand how they use Kano in their clubs and camps. Our school partnerships include our first Kano Academy - Amana Academy in the US have done a full-blown integration with Kano for their 5th grade students. What is the biggest challenge to implementing Kano technology in the classroom? The gap we've been helping to bridge has been aligning Kano with class objectives or curriculum, across subject domains. Our enthusiastic, creative community has taught us so much on how Kano can be used in the classroom - from the teacher who has designed history projects using Make Minecraft, to the librarian who has children create weekly podcasts, to the STEM coach who has used Kano to teach children how to code. Many teachers want to use Kano but don't know where to start. For the teacher looking to get started with projects like these, we must do more to help - and we've begun publishing projects from our educator community on the website. We're excited for this section to grow, making getting started with Kano, to solve YOUR problems and meet YOUR objectives, simple - the Kano way. We'll see technology that helps educators focus on engagement and personalization. We're increasingly able now to capture data across platforms - what learners are engaging with on mobile with a VR app, or answering as part of an online homework assignment, or writing as part of a blog. We'll increasingly see technology that helps to capture and unlock meaningful data as we're increasingly providing diverse learning experiences. We can track the parts of a game where students typically spend the most time to create more engaging content, or see where an individual student gets stuck and target intervention with the activity best suited for that student. Joanna Bersin will be speaking at RE•WORK The Future of Education, taking place in London on 20 June, as a part of London Technology Week. Other speakers include Joachim Horn, Founder, SAM Labs; Ian Fordham, CEO, Edtech UK; William Owen, Founding Partner & Strategy Director, Made by Many; and Lola Canamero, Head of the Embodied Emotion, Cognition and (Inter) Action Lab, University of Hertfordshire. For more information and to register, please visit the event page here. We will also be holding RE•WORK Future of Food Summit during London Tech Week on 21 June - view more details and the speaker line-up for the summit here.